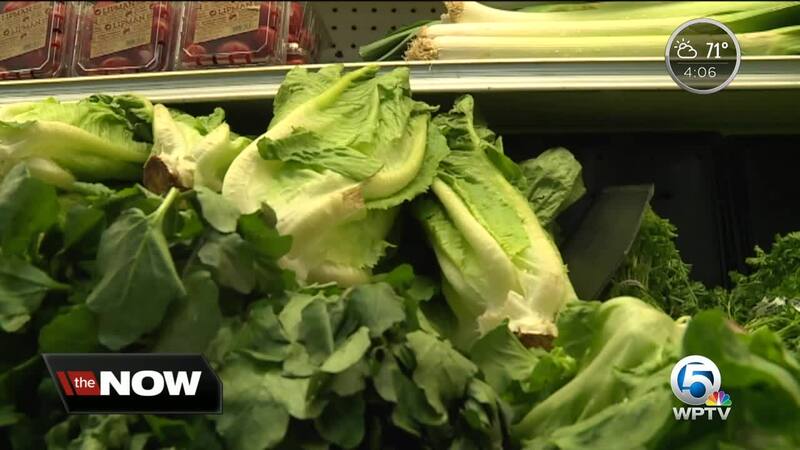 Some shoppers say lettuce is hard to come by or just downright expensive. At the Whole Foods in West Palm Beach, the shelves are literally empty. The store said they were expecting a shipment Thursday night but didn't know how much lettuce would come in. WEST PALM BEACH, Fla.-- Some shoppers say lettuce is hard to come by or just downright expensive. At the Whole Foods in West Palm Beach, the shelves are literally empty. The store said they were expecting a shipment Thursday night but didn't know how much lettuce would come in. "I guess in a first-world problem, it's a big deal," said Alex Celis, who is the co-owner of Celis Produce. He said he's lacking the leafy greens. "Normally these top shelves are filled with salad mixes from spring mixes and arugula. Right now it's bagels," Celis said. Celis said his distributors just don't have the produce after buyers turned to other greens instead of romaine during the E. coli outbreak. It's a popular choice, so now there is a supply and demand issue with all lettuce. "Since the E. coli outbreak with romaine, it’s kind of trickled down," he said. "If they (distributors) are out, then we are out, and there are hundreds of us guys out there. So if we are out, so is everyone else, because we are dependent on these bigger distributors." It's not only a problem for consumers but for those who rely on lettuce for their craft. WPTV caught up with a chef searching for greens. "I’m probably not going to get lettuce for at least another week or two weeks, so now I’m trying to improvise just make cucumber tomato salads," he said. Others say calm down---it's just lettuce. "I can live without lettuce," said one shopper. "Lettuce smettuce. I don't really care," laughed another. 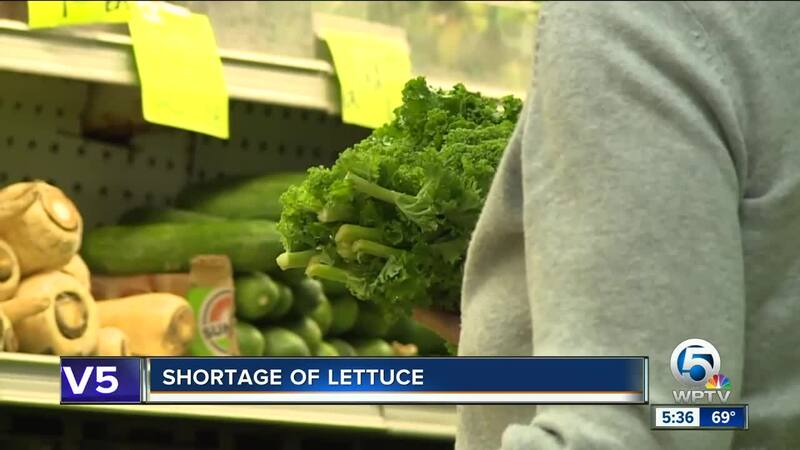 Some retailers said they can get lettuce but it's hard and they're already seeing a price hike. It may take time for it to even out. The best advice is to call ahead before you go to a store if that's what you are looking at. It's a mixed bag so to speak of what you might find.